Absolutely amazing! Sue and Kevin had us laughing and crying in a matter of minutes." 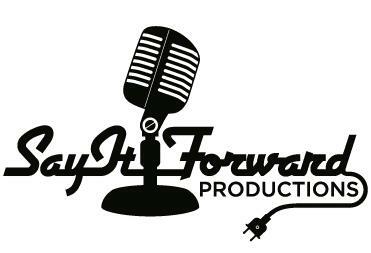 "From start to finish, working with Say It Forward was an absolute delight! They got what our organization is all about and created a show that exemplified our mission beautifully." "The combination of music and stories was deeply moving, funny and an absolute hit with everyone that came to witness these incredible performers!" "Our time with Say it Forward was the best staff retreat I have ever experienced!" " Say it Forward helped me to remember what is really important in life... HUMAN CONNECTION!" "Sue worked with every member of our community from our board, to our direct service team and our teenage clients; she made every voice heard." We would love to hear how we can help!